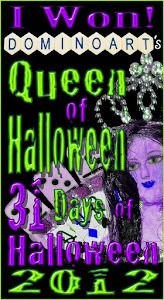 Blackdragon's Crafts: Day #24 of the 31 DAYS OF HALLOWEEN and STAMPITCRAZY. Day #24 of the 31 DAYS OF HALLOWEEN and STAMPITCRAZY. 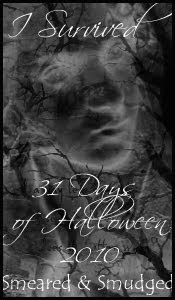 Welcome to day #24.... and the new HALLOWEEN challenge at STAMPITCRAZY. You can win the 3 hitch-hikers in rubber or as a digi..... i need RUBBER!!!! This 3Deasel card is all done with STAMPITCRAZY digis and MS punches. The background is one of Barbs beautiful digi papers. I coloured my hitch-hikers with promarkers and cut 'em out.... fiddley but worth it! I love these guys..... i really do need them in rubber! I've used 3 lots of puched borders..... iron rails and grave yard.... loads of foam pads.... and i nearly forgot.... 'goopy goo' border punch at the top of my scene.... THANK YOU HELEN!!!!!! 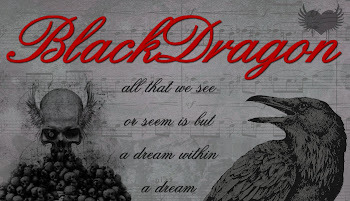 I hope you can all play along this week.... HALLOWEEN is nearly here..... the list of other WICKED BLOGS is at the top of my side-bar..... have a great sunday.... see you all tomorrow. Your scene is awesome so are the hitchhikers. Love it. WOW!!! love the scene, fabolous job all the way around!!! Amazing scene card! The background paper is erie and you cut out those hitchhikers! Holy cow! Those hitchhikers are fab, I'm going to have to check out that challenge. I just love what you did with this. You have a way with creating scenes. FABULOUS! Wow this is really your season, great projects! Terriffic 3 D scene. Love the images and I am glad you can get them in digi or I wouldn't get them in time. Love all of the punches you used. This is absolutely fabulous!!! You do awesomely-crazy stuff with your sky backgrounds! Love, LOVE, LUV!!! Fantastic job, my dark friend! Wow! What an incredible scene!!! You did a fantasti cjob with not only your coloring, but your cutting and layering too! Killer card Lynx!! I must have these guys!! Wonderful way to show off these awesome images!! this is great! you did such a good job in coloring! and I love the image and paper...great layout! I love your background scene, awesome.